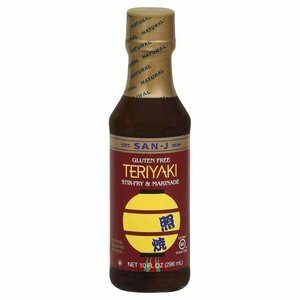 Teriyaki sauce for stir-frying & marinating chicken, beef, or shrimp. The result is delectable, sweet and savory. Ingredients: Tamari soy sauce (soybeans, water, salt, alcohol), water, organic sugar, organic honey, sake (water, rice, salt), apple cider vinegar, garlic puree (garlic, water), rice vinegar, ginger puree (ginger, water, salt), plum juice concentrate, inactive yats, canola oil, arrowroot, xanthan gum, spice. Gluten-Free. Non-GMO. Traditionally San-J Teriyaki sauce is ideal as a marinade for chicken, beef, or shrimp. in just 30 minutes, you're ready for the grill. Brush on a little extra sauce and serve over rice. Delicious! 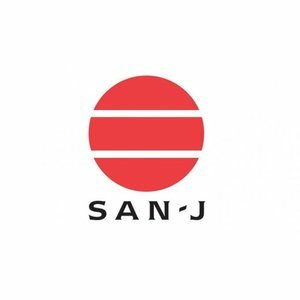 We take our San-J Tamari soy sauce and a touch of sweetness with honey, sake, and ginger. The result is a Teriyaki sauce that's delectable, sweet, and savory.